Three pieces of reclaimed silk fabric from an antique kimono. 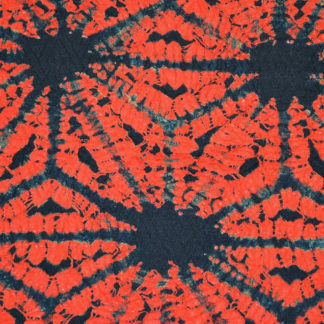 This fabric is doubly beautiful – first it has a lovely fine woven sayagata pattern, then that fabric was lovingly shibori tie dyed into a bold black and red asanoha design. 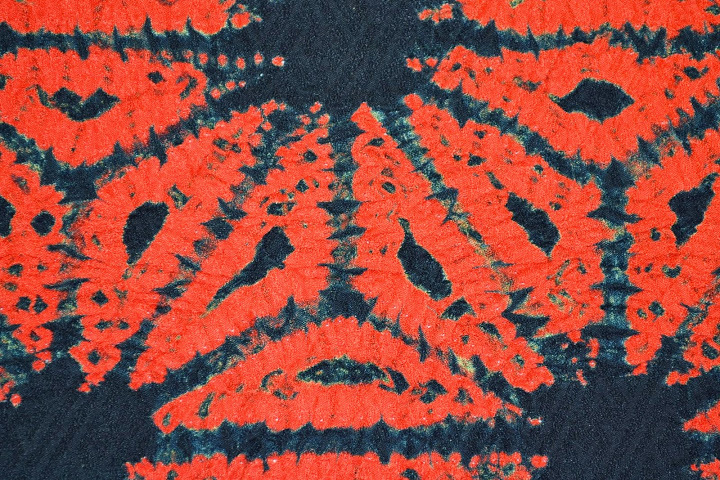 These pieces still have the unique texture of the shibori technique left as well. 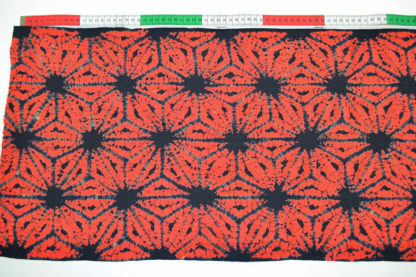 108 cm long by 37 cm wide. 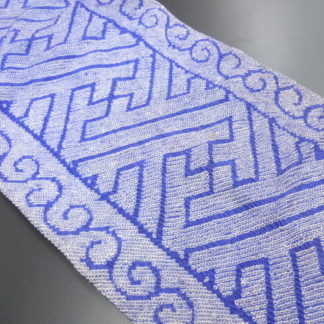 These would make amazing scarves or other moderate sized projects. The silk is in excellent used condition for its age. 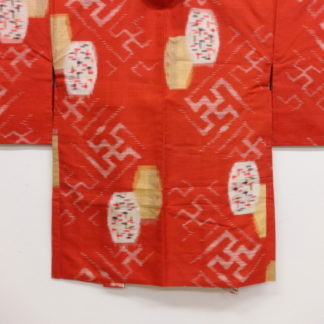 • Asanoha: The Asanoha pattern is one of the most popular traditional patterns often seen on Japanese kimono. Asanoha means: Asa = hemp: no = of: ha = leaf. 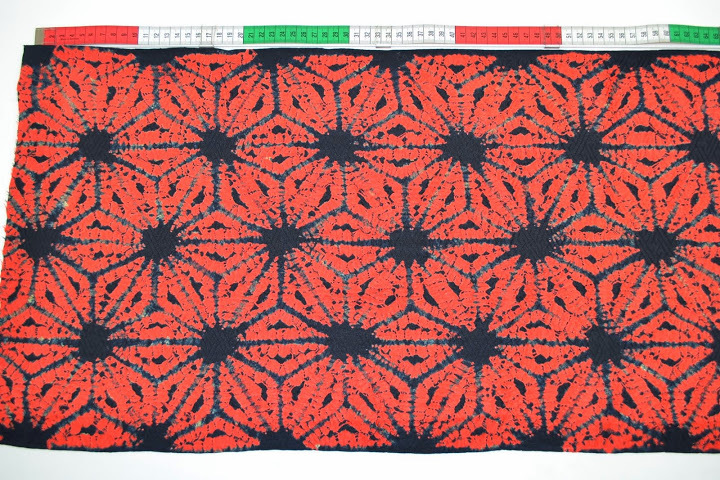 The regular geometric pattern, though abstract, represents overlapping hemp leaves. 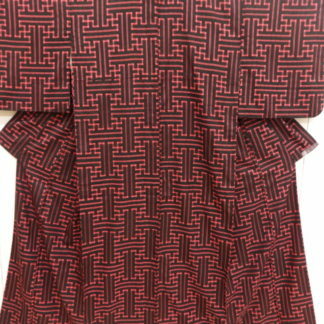 Asanoha can be combined with other seasonal motifs including ume and kikko, or feature as the primary element of the design. In ancient Japan, hemp, along with ramie, linden, elm, wisteria and mulberry, were used for making clothing, fibers and paper. The wives of merchants would wear it, to bring good fortune to the wearer. Because hemp was known for its rapid growth, the pattern was often used for clothes of newborn children. “…[p]arents hoped that infants wearing it would develop with the vigor and toughness of the hemp plant.” The Book of Japanese Design, Kyusaburo Kaiyama. 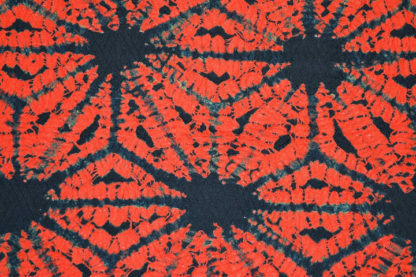 • Shiborizome: More often known as just shibori. 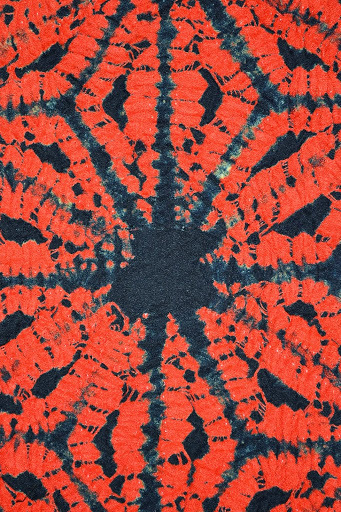 An intricate tie-dye method of making a pattern on fabric. 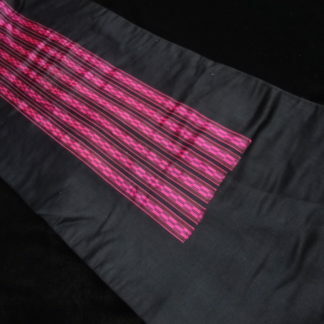 Tiny sections of the fabric are tied or gathered and stitched before it is dyed. 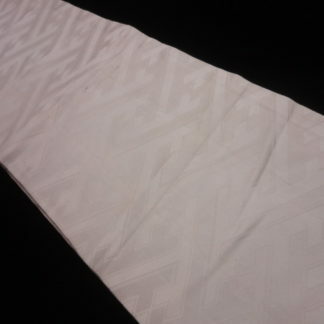 The bound area does not absorb the dye, so, when the thread is removed, it leaves a pattern of white dots. 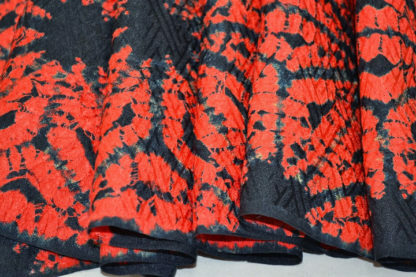 A completely shibori kimono can take an entire year to produce. 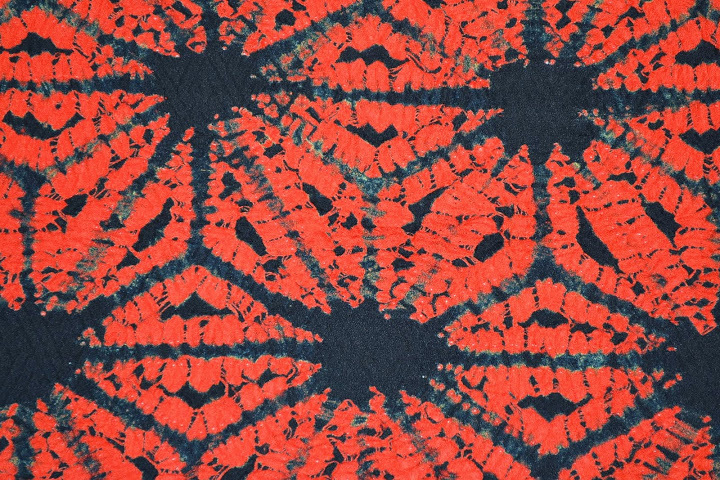 Shibori is greatly prized by the Japanese, who are aware of how painstaking it is to create. Shibori has been made around the 4th century B.C.